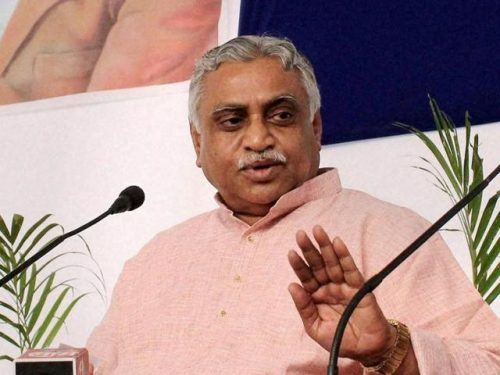 By Dr. Manmohan Vaidya, RSS Sah Sarkaryavah : Congress President Rahul Gandhi’s feeble attempt to draw equivalence between the Muslim Brotherhood and RSS, caused astonishment in those familiar with the RSS and hold a national perspective. Alternatively, those professing a communist and Maoist ideology, and practitioners of opportunistic politics were predictably elated. Neither of these responses are unanticipated. 11th of September 2018 will be the 125th anniversary of Swami Vivekanand’s Chicago address in the Parliament of world religions. In that historic address he presented to a world audience the inclusive world view of Hindu culture. This was not merely an exercise in intellectualism, but one where the strings of the heart were playing a unique tune for an audience unfamiliar with the Hindu view of life but responsive to the music in those sincere words. Swami Vivekananda began his address with “My American Brothers and Sisters…” an endearment which was received with a standing ovation that lasted a few minutes. Before independence, the Congress was an open platform, amongst its members were Hindu Mahasabhaites, supporters of revolutionaries, those with radical approach (Garam Dal) and also those having moderate approach (Naram Dal). There was space for everyone. However when this platform started taking the shape of a political party, it went from being a large tent of ideas to the alienation and exclusion of those having different views. It was however a gradual progression. Even after independence there was space for diverse viewpoints, if Pandit Nehru was an ardent critic of the RSS, Sardar Patel invited Swayamsevaks to join the Congress party. In 1962 during the Indo- China war, Pt Nehru once a staunch critic was so impressed by the selfless service of the Sangh that he invited the RSS to participate in the Republic Day Parade. And even though it was very short notice as many as 3000 swayamsevaks participated with pride in the parade. In a democracy it is but expected that there will be a differences in opinion and ideologies but it is imperative to rise above these differences for the good of the nation. It is only when this unity supersedes politics, will the country find solutions to the problems that ail us and move towards realising the Bharat, Swami Vivekananda presented to the world all those years ago.